Stock up on your favorites. 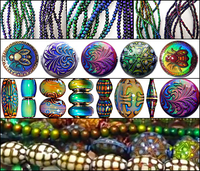 Swarovski beads, pendants, & pearls are always sparkly and fun to bead with. 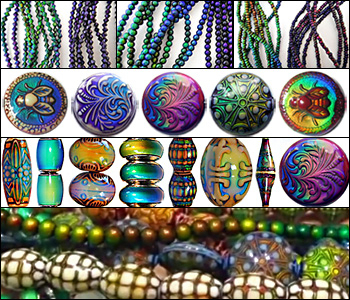 Color-changing thermosensitive mirage beads - also known as mood beads - are so entertaining to design with. Choose from contemporary, seed and retro styles. 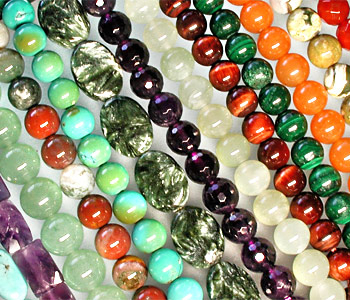 Treat yourself to round, oval, cube, double-drilled rectangles, polished nuggets, matte finishes and more gemstone beads with great everyday prices. 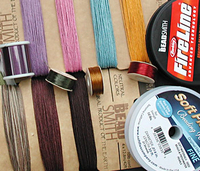 Experiment with a variety of stringing materials for fresh jewelry designs. Get creative with all of our beading cables, cords and threads.